At J&M Refrigeration we have more than 30 years of experience in the design, sales, installation, service and maintenance of commercial refrigeration and air-conditioning. We are based in the West Midlands, yet we provide our commercial refrigeration service across the UK as well as delivering a 24/7 maintenance provision that is also available nationwide. From making sure your new commercial refrigeration products are delivered on time and within budget to ensuring your existing systems run at maximum efficiency and are performing to meet your specific business needs, our team of professionally qualified and certified commercial refrigeration engineers are backed up by an experienced, knowledgeable service department and business administration team. We deliver a first class service that our valued customers across the UK have come expect. Our commercial refrigeration service can be utilised in a range of environments such as healthcare and pharmaceutical, butchers and bakeries, food retail, hotels and leisure and many more. To find out further information about commercial refrigeration with us, then please do not hesitate to get in touch with a member of our helpful team. 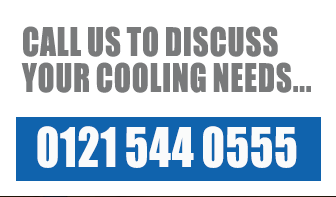 You can contact us via email at admin@jamrefrigeration.co.uk or by calling us on 0121 544 0555. Our staff will be more than happy to answer your questions and queries regarding commercial refrigeration. You can also reach out to us by submitting the request a call back form which can be accessed to the right of this page.